I followed a tutorial made by Jerry Hildenbrand, where he teaches how to control a LED via local network. His tutorial works perfectly, I just need to type tightvncserver in the raspberry and open any browser (even in the mobile) with the raspberry pi ID address and everything works perfectly. I don't know why, all the folders and files follow the same structures that is inside the raspberry pi). 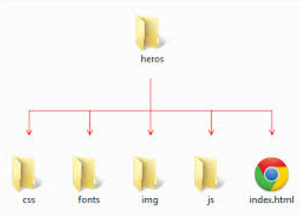 when you open your website from web server http://192.168.0.38:8000 all resources images or js files are relative or absolute to the root web site folder for example <href="/css/superled.css"> mean for the browser the file located in : /Users/.../myhomefolder/mywebsitefolder/css/superled.css, but when you open the file from file system File://Users/.../index.html resources are relative to the root system folder which mean the browser will search file in the current path : /css/superled.css which for sure is not correct. instead opening file from File system open the web server page. How do I read a button through the GPIO? How can the playback button on YouTube videos, be eliminated during playback? How do I disconnect from wireless after exiting the browser?